Join us in Fremantle to celebrate the influence of Irish culture in Australia. Vibrant music, beach bar, contemporary Irish film, art, historic exhibitions, walking tours, poetry & literature, family friendly activities and an historic commemoration. The 62 Irish Fenian political prisoners were young men, who lost everything, but by supporting each other and connecting to their culture, they survived the journey and never lost sight of escape! These Fenians were exceptional people. So we’ve gathered exceptionally talented musicians, writers and story-tellers to help you celebrate their spirit. Join with us as we recall their achievements, admire their resilience and value their love of culture – as relevant today as it was then. The Festival takes place in a number of Fremantle’s outstanding venues, easy walking from public transport and close to free CAT bus stops. Feast of the Wild Goose Dance & Feast! Martin Hayes and Dennis Cahill are two of the world’s leading artists in traditional Irish music. Their adventurous, soulful interpretations of traditional tunes are recognised the world over for their exquisite musicality and irresistible rhythm. Declan O’Rourke is a highly successful Irish artist, acclaimed by his peers, and having achieved many plaudits with his five albums released to date. Declan’s soulful music, rooted in folk and trad, has attracted the praise of countless industry giants. Tony Curtis was born in Dublin, and educated at the University of Essex and at Trinity College, Dublin. In 1993, his poem The Dowser and the Child won the Poetry Ireland/Friends Provident National Poetry Competition, while These Hills won the Book Stop Poetry Prize. In 2003 he was awarded the Varuna House Exchange Fellowship to Australia. Kavisha’s original song’s lyrical ingredients include humour, poetry, social justice and the spiritual. Combine this prowess with the voice of an angel and you have the experience of a Kavisha concert. Lucky plays many styles of music – jazz, blues, country, western swing, folk, bluegrass – but gets truly interested when the boundaries come down and pure music is being made in the moment. He is a proponent of true improvisation and hosted a TedX talk to explain it. Perth based traditional Irish music trio inspired by the music of the older generation from the west of Ireland combining wooden flute, whistles, fiddle, bouzouki, guitar and vocals. Fiona Rea has a passion for storytelling, connection and melody. For her ‘to sing is to breathe’ and, with a voice at once honest and delicate, she sings to make sense of the world. Aminah Hughes is a celebrated songwriter and “strong, soulful singer”. She has performed with ensembles and orchestras and appeared on 10 albums in Australia and Europe. She returns to Australia after 7 years in Ireland, to share with us a collection of enchanting songs, both new and old. The Rogues are a Pogues ‘tribute band’. They play a gut-withering hard-driving brand of folk-rock, drawing upon the timeless Pogues repertoire of traditional, rebel and contemporary music and song. There’s relentless rhythm – sublime, yet coarse verse – vocal gymnastics and – instrumental prowess. The Fenians were young men, most between 19 and 30, who grew up in Ireland in a time of starvation, death and forced evictions – the years of the great Famine. Having exhausted all attempts to gain self-government through political means, they decided to fight for independence. Some were in the English army, (military Fenians) and they recruited others to stage a rising. Their plot was uncovered, they were arrested, sentenced for treason, exiled from Ireland and transported to Western Australia. After spending months in solitary confinement in English prisons it was probably a bitter-sweet relief to board the Hougoumont, where despite their sea-sickness, they shared stories, held concerts, wrote poetry and looked after their companions. Are you a relative or descendant of one of the Hougoumont Fenians? If so, we’d like to include you and your family in the commemoration events on 10 January 2018. We will meet on Bathers Beach in Fremantle at 9.00am on that day and walk (or ride) to the Fremantle Prison where we will remember your relatives. If you cannot join us in Fremantle, but would like to send a greeting, please contact us. Do you have the skill and the passion to help make this Festival a success? If you can come to Fremantle, we’d welcome your practical help either before or during the festival. Please contact us. Fenians Fremantle and Freedom (Inc) welcomes new members. For more information please contact us. To honour the Fenians, their arrival in and departure from Fremantle, and the impact their lives had on Irish, Australian and US culture and history. To celebrate their lives through art, literature, history, music, dance and film events and festivals.  © 2017 - 2019 Fenians Fremantle and Freedom Festival | This website was developed by The Pod Resource.